The farther away from the light a plane faces, the darker it becomes, unless, of course, a reflected light is thrown from a light wall or garment. Once these things are understood and established in our minds we can adapt them automatically, and we find ourselves drawing more easily. That's when feeling comes. 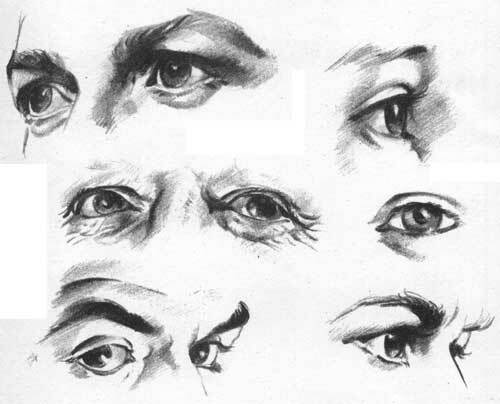 Study the angles of the brows, the height of the bridge of the nose, the distance between the eyes and what happens to the lids when the pupils are moved. Study them carefully. Analyse them. Draw them from every angle. Notice that wherever the pupil is, the lids are widest apart. Don't draw lashes as lots of single strokes. 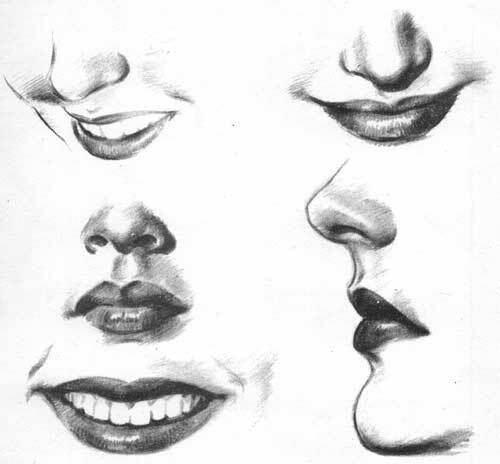 Lips are expressive. Women's lips are fuller and softer. The nose influences the expression. 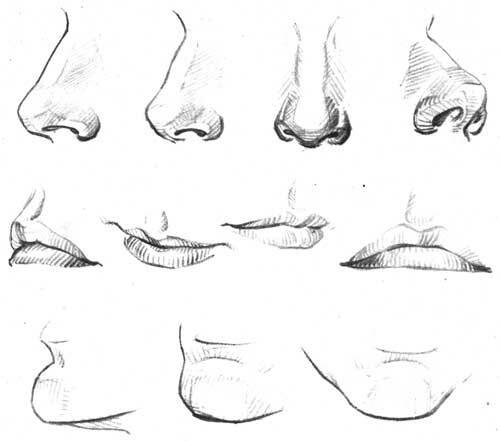 Study the groove in the upper lip. Watch the corners of the mouth. 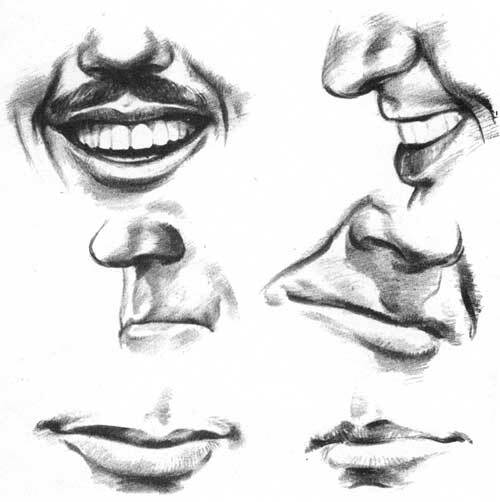 See how the nose moves when the mouth smiles. Draw the moustache as a mass, not as lines. These lips are, on the whole, less soft and thinner. A young boy's lips are usually soft and fuller. Watch the nose and the lines down to the corners of the mouth. 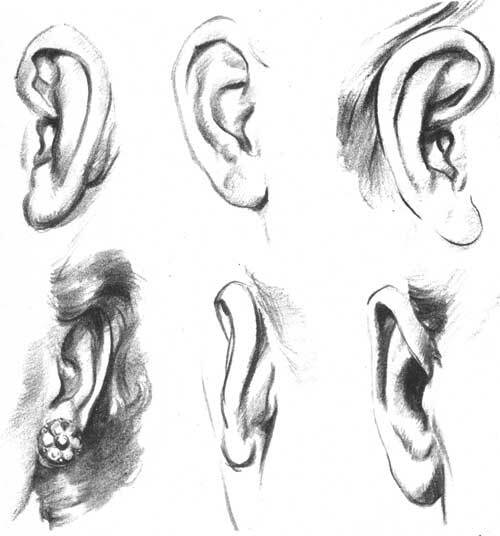 All ears are not the same, so pay special attention to the twists and folds. When you are drawing these details look at them from all angles.